Setting wholesale terms is one of the first orders of business if you are thinking of selling handmade jewelry to stores. You need to ask yourself an important question regarding setting wholesale terms before you make your first contact with any store owner. That question is will I offer credit terms to my customers? Credit terms are usually referred to as net 30 days. In other words you are giving the store thirty days after the shipping or invoice date to pay the invoice for their order. Net 30 days is standard in setting wholesale terms in the industry, but if you plan to sell to large department store or chain stores, they often set the terms at net 60 or even 90 days. 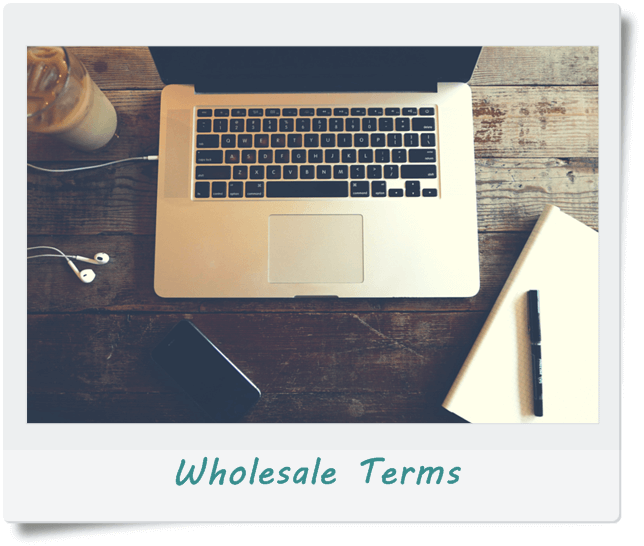 let's talk about setting wholesale terms and what it may mean to your business. When I first started selling handmade jewelry to stores I thought like a shy artist... insecure about my product, afraid to ask for what I wanted and unsure about what was "okay or acceptable" to ask for. Please let me save you the trouble. I really want you to feel confident about your product and your worth. Mostly, I want to save you the time it takes to learn the lessons that I learned. There is nothing wrong with knowing your stuff about the wholesale business when you are brand new to selling handmade jewelry to stores. Once you have decided when, or even if, you will offer credit terms no one should make you feel like you should give credit sooner or even at all. If anyone triggers a feeling of inadequacy regarding your wholesale parameters it will only be because you have not yet strengthened your muscles and tightened your professional boundaries. This is your business and you make the decisions on setting wholesale terms that are best for your business. Remember, selling handmade jewelry does not mean that the artist is running the show. Tighten up and make sure that you represent the artist within you with the level of professionalism he or she deserves! When I started out, I didn't know how to sell to stores and there was nobody there to tell me how. I really had no understanding about setting wholesale terms. I would let people have thirty days to pay their bill whenever they asked for it. Sometimes I was just afraid to ask for the money up front. The important lesson I learned was that when I gave my hard work away like that, without placing enough value on myself to ask for immediate payment, a funny would happen. Stores would be late paying or I would have to make repeated calls to get paid at all. Once my husband and I participated in a wholesale show in Boston. We made the mistake of giving new customers thirty days to pay. Being from Canada I guess these store felt they did not have to pay at all. After all what where we going to do, chase them down? Well, we did just that. On our next trip to the United States we actually drove way out of our way to visit these stores and we collected payment. Then we made sure to visit the banks that the cheques were issued from and had the cheques certified. This was probably about fifteen years ago so I am not sure whether we were able to cash the cheques or certify them. I just know that we were able to get our money by making sure with the issuing branch that the funds where available. In short, the lesson is, never extend credit terms to a first time customer! Store owners know the deal. They have been around long enough to know that they have to pay up front just like everyone else does. In fact, in my opinion, it is not even fair to ask an artist for first time order credit knowing that it is not standard procedure. Having said that, there will be times where you may have to accept the idea of issuing credit when it comes to government run stores, large department stores and chain stores. You always have the option to refuse extending credit terms, but you will likely lose the sale. In 25 years of selling handmade jewelry to stores I have never had any issues collecting payment from the government owned stores. An example of these types of stores are pioneer villages national park stores, heritage sites etc. These types of stores are only set up to pay net 30 days as they usually have an accounting department to which you issue the invoices and the payments are handled from there. Cheques are typically computerized and there will be one person, or even two people, who sign cheques at specific times of the week. I have had experience with chain stores and had no problem getting payment, but that was only reflective of the particular chain that I dealt with and does not apply to all chain stores. In fact the chain store that I sold to almost went into bankruptcy, so had I sold to them again I may not have collected payment. As for department stores, I have not had dealings with any, but have heard horror stories about net 90 turning into net 120 or worse, net...never. Selling to department stores can be a risk and it is up to each individual whether they are willing to take that risk. Setting wholesale terms that offers credit to your customers is entirely up to you, but I will share with you what I do and it works very well for me. I almost never offer credit terms anymore. I take orders at shows, by email and telephone and I always ask for a credit card. There are basically three options when setting wholesale terms and they are; prepaid by cheque or credit card, C.O.D. (which means cash or cheque on delivery) or net 30 days. I used to often send orders out C.O.D. and have the post office or courier company collect the payment and forward it to my business, but now I find life much easier to simply take a credit card number with the order and process it just before I ship. I prefer it that way and like that the money is deposited to my account overnight. When I sell at wholesale shows, sometimes I offer free shipping with prepaid orders. That means even if the order is not ready to ship for a week I still have already been paid and in return the customer saves on the shipping cost. Occasionally I will offer credit terms to a store that has ordered from me a few times if I feel very good about the store owner. For example I have one customer who has been in business for many, many years, is extremely diligent in their business management and super nice to deal with. They have never asked for terms but, I just extended the credit to them. As I predicted they would, they pay their bill exactly on time, if not before. I am willing to take a risk with this store because I see how they do business and I appreciate their business. Offering them terms just feels like a nice thing to do. If you do decide to offer credit terms or if you are considering offering credit to stores when a request is made, I recommend that you have a credit application on hand. 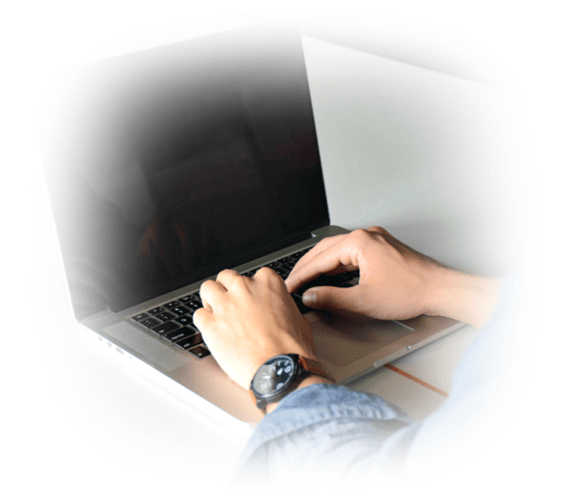 Making a credit application for selling handmade jewelry to stores is very simple. Go to any wholesale bead supplier that offers terms and request a credit application or do an online search for sample credit applications. Follow the basic format and don't ask for too many complicated things that trigger a "who does she think she is" response. Remember, they are not buying a house or taking out a car loan. Setting wholesale terms from the beginning will help you to be clear in what you need to ask your customers for and keep you from feeling on the spot. Set your boundaries ahead of time and you will feel that much more confident.